QlikView training materials - deliver your own QlikView training The Qlik Fix! Since its publication in November 2012, QlikView 11 for Developers has quickly established itself as the best way to teach yourself QlikView. Thousands of people have used the book to successfully take their first steps in QlikView, improve their skills and even prepare for their Developer certification. We have developed a full set of training materials that enable you to deliver a complete classroom training based on the book. Train your clients or employees using a proven method, without wasting valuable hours on curriculum development and with the assurance of continuous updates and support! 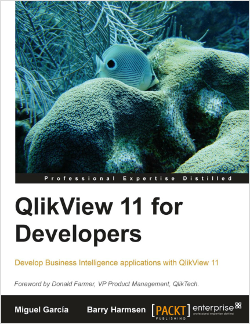 The slide decks follow the 14 chapters of QlikView 11 for Developers and use the exercises from the book (books not included). Followed start to finish this is a 5 day training, but you can also mix and match to create a completely custom training. For example training front-end designers using chapters 1 to 6, or teaching Set Analysis using chapter 11. Whatever requirements your clients or employees have, you can accommodate them with this training kit. Based on a proven approach. QlikView 11 for Developers is the leading book on QlikView and has helped thousands of new and experienced developers. Quick return on investment. Licensing this training kit allows you to train an unlimited amount of students and requires only a one-time fee. Our customers typically recoup their investment during their first classroom training! Get started quickly. Extensive speaker notes ensure that anyone moderately proficient with QlikView can quickly deliver their own, professional training. Order today and deliver training tomorrow! Easily rebranded. Modifying the training materials to your own corporate style is easy and permitted by the license. 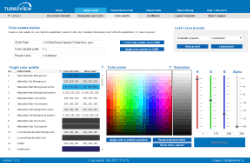 Professional materials for your students. 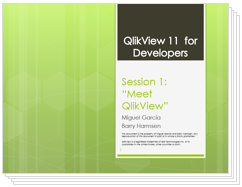 QlikView 11 for Developers contains in-depth explanations of everything that is covered in the training. This allows students to better revise and retain skills after the training, leading to increased quality and customer satisfaction. Create custom training programs. The modular setup of the training materials lets you create customized training. Made to measure training ensure that you will be able to exactly meet the educational needs of your clients and employees. Personal Edition enabled. All solution files are enabled for the free, Personal Edition of QlikView 11. Your students will not need a license to follow the training. Support and updates. Materials are continually updated based on feedback from our world-wide partner network. 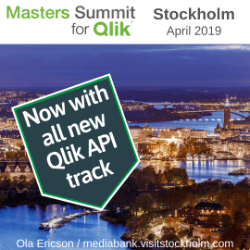 “It’s brilliant there is such a strong alternative to the Qlik materials out there. “This is one of the best courses that QlikView developers can go on. The QlikView 11 for Developers training materials are available under two different licensing agreements. The in-house training license agreement is for QlikView customers who wish to train their own employees in QlikView 11. The client training license agreement is for QlikView partners and training institutions who wish to deliver QlikView 11 training to external (paying) clients. The table below shows a global overview of licensing terms and pricing. For a sample of the training materials, a copy of the license agreement, a quote or any other information, please contact us using the form below.